Serious Buyers have fewer houses to choose from during the holidays, and less competition means more money for you! Since the supply of listings will dramatically increase in January, there will be less demand for your particular home then. 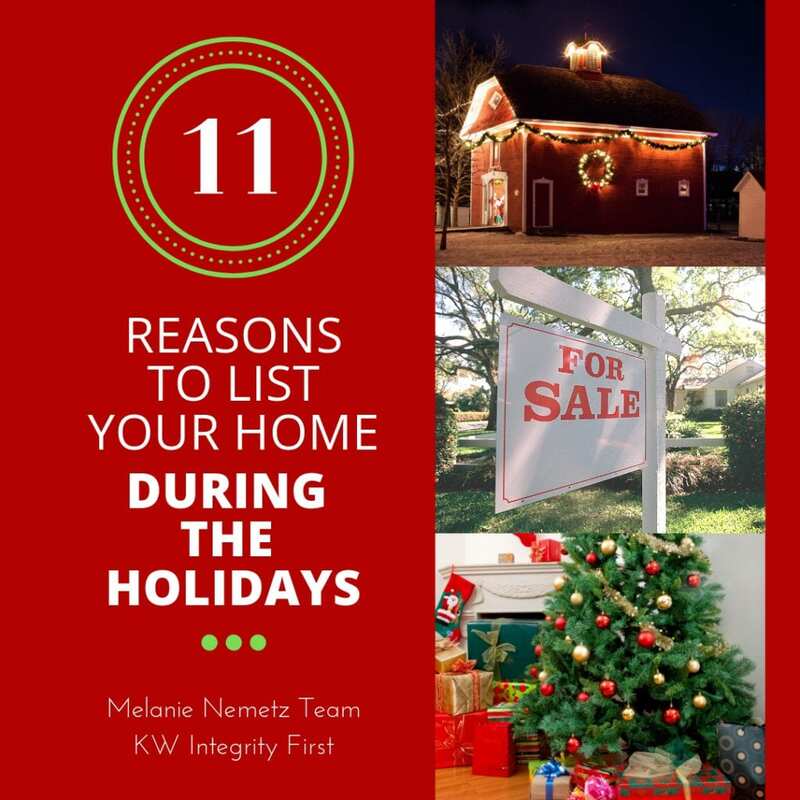 Buyers have more time to look for a home during the holidays than they do during the work week! You can sell now for more money, and we will provide for a delayed closing or extended occupancy until early next year! By selling now, you may have an opportunity to be a non-contingent Buyer during the spring, when many more houses are on the market, for less. This will allow you to sell high and buy low! Contact us today to schedule a free consultation and Comparative Market Analysis on your home! Know the value and how we can assist you every step of the sale!